Purnima Solar Technologies Private Limited was established in the year 2004 in Ghaziabad, UP, India. We are engaged in providing eco friendly products that are acclaimed for their unmatched performance, high efficiency and longer life span. 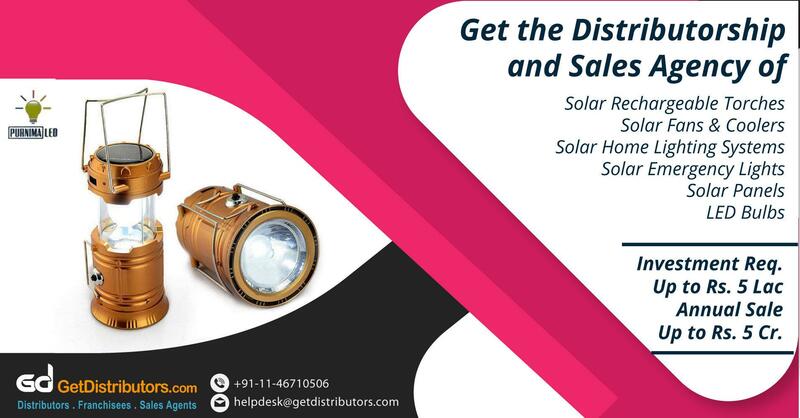 Marketed under the brand name PURNIMA LED, our solar appliances are available at reasonable prices and are the preferred choice of people from all walks of life across India. We require distributors to aid us in our expansion plans. The above given list is not exhaustive. The distributor needs to possess a land of minimum area 250 sq ft.